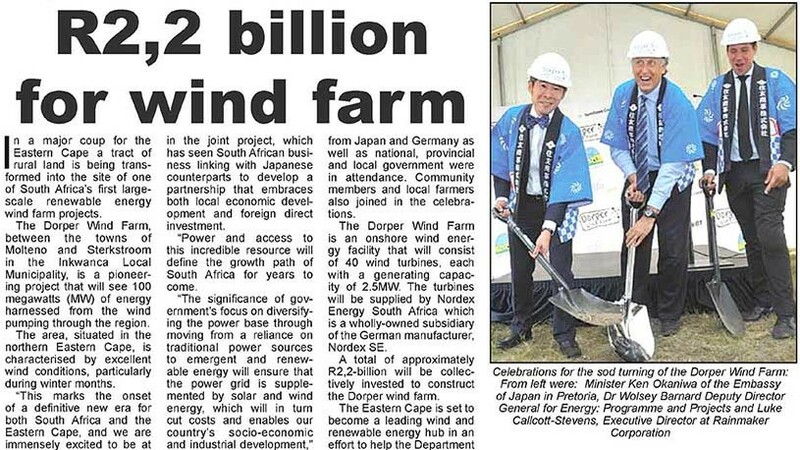 Minister Ken Okaniwa of the Embassy of Japan and Dr Wolsey Barnard, Deputy Director General for Energy help Luke Calcott-Stevens, Executive Director at Rainmaker Energy dig the first sod of turf for the Dorper Wind Farm. Sitemap | Copyright © 2018 Rainmaker Energy. All rights reserved.